Published on 18 July 2012. Meet Scratch, next door’s cat. Scratch sent us a card when we moved in, which shows remarkable talent for a feline! 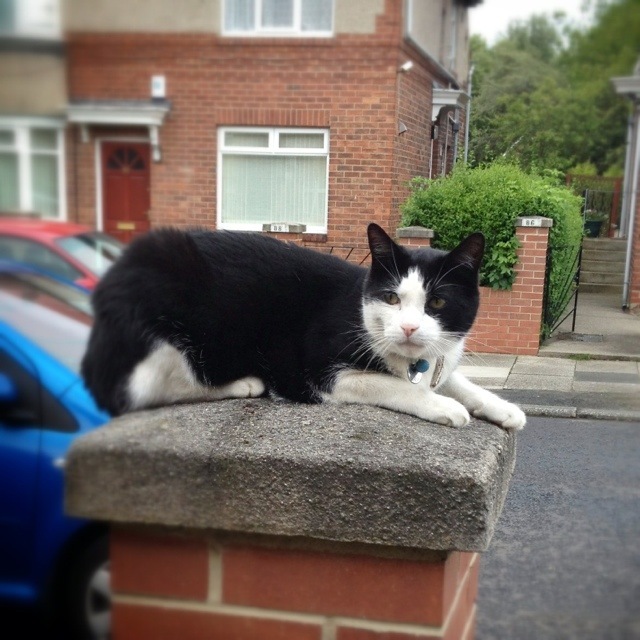 Otherwise, Scratch seems to just love sitting on the front walls and gate posts of nearby houses, enjoying tickles and scratches from successive passers-by. This 1,729th post was filed under: Photo-a-day 2012.